iGRIND4REAL: #CelebNews WENDY WILLIAMS SPEAKS OUT ABOUT AALIYAH BIOPIC AND SAYS "LOVE IT OR HATE IT YOU WATCHED IT!" 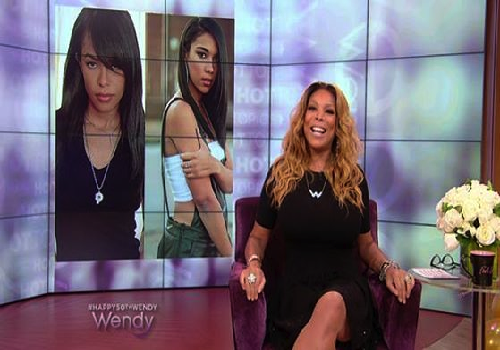 #CelebNews WENDY WILLIAMS SPEAKS OUT ABOUT AALIYAH BIOPIC AND SAYS "LOVE IT OR HATE IT YOU WATCHED IT!" 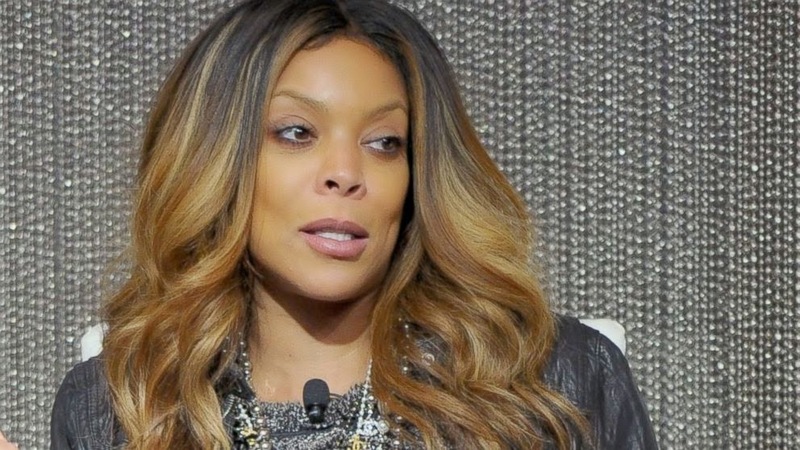 After getting so much backlash about the Aaliyah Biopic, talk show host, Wendy Williams finally speaks out and you won't believe what she said. Wendy stated yesterday “I see my Aaliyah movie broke the Internet this weekend,” she said on her talk show this morning. “Everybody’s got an opinion. Whether you loved it or hated it, you watched it. It was the second highest rated movie on cable this year.” Radio host Charlamagne Tha God, who used to work with Williams during her radio days, doesn’t think there’s anything to be proud of. On his radio show this morning, he expressed his disappointment in the biopic in a way only he could.Via Washington Post reports: Cue the avalanche of questions about Aaliyah’s family’s disapproval and the fact that they don’t have rights to the music. To clarify: While the movie couldn’t use original Aaliyah recordings, they were able to obtain publishing rights, so Shipp recorded covers of the songs. Producers promised that roadblock didn’t impact moving forward with the movie. “We’re trying to honor this woman and tell this story of this journey and her overcoming obstacles,” Farley said. “We felt we had enough of the music to still make a terrific film, and we’re excited to tell the story we were telling.” The R. Kelly element has also caused a stir, as one reporter on the call wondered if it will draw heat given that her family never officially confirmed the nuptials — even though journalists found marriage records (on which Aaliyah lied about her age). Lifetime has already released a clip of a scene in which the movie version of Aaliyah tells her parents she and R. Kelly are married. It doesn’t go well. The trio argued that R. Kelly, as controversial as he may be, was part of Aaliyah’s life, and an important influence on her music. Farley, who has done extensive research into her life, reiterated that the marriage is a matter of public record, not fictional drama. “The evidence is there that they were married,” Chase added. “We tried to keep it very tasteful and respectful in our portrayal.” Braunstein shot down the family’s claims that Lifetime never reached out to them about the movie. “We absolutely reached out to them, and Lifetime did too,” he said. “They chose not to cooperate with it.” He said that he has no concerns about threats to block to the movie from airing. “Hopefully they’ll enjoy it,” he said. “I hope they’ll be proud.” Were they rattled by all the Twitter-furor over casting and other controversies? Producers admitted that the fury “was hard to ignore, but you can’t dwell on it,” noting that these fans didn’t really know what was going on with production. “Biopics are hard,” Chase admitted. “People have an opinion and social media allows them to voice that opinion. But at the end of the day, our goal was to make the best movie possible. Hmmmmm is this a bunch of crap or nah?! Maybe someone will come along and do an REAL biopic on the Princess or R&B!